July 18— The Houston Times got all artsy this week. We were on the scene to cover the Raw Houston: Elevation Showcase, a lively art gallery that provides exposure to Houston’s creatively endowed. 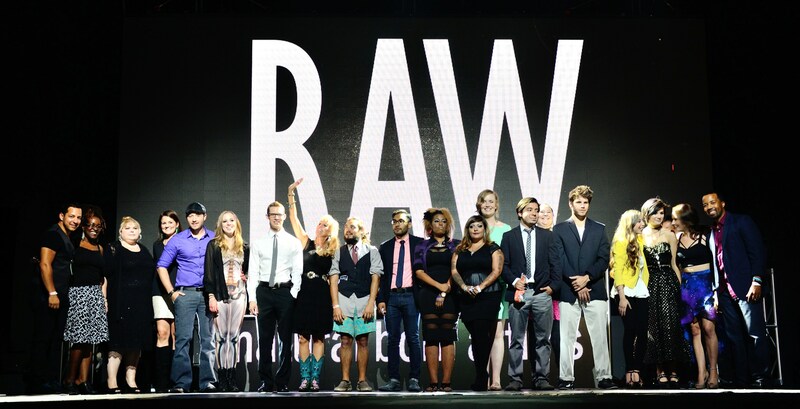 Raw Artists Houston is actually a microcosmic part of the Raw Natural Born Artists organization, an extensive art community which currently spans 81 cities across the globe (with prospective expansion plans in London and Paris). A little over 50 of these cities are concentrated here in the US. , from sunny Los Angeles to urbane Brooklyn…and also the “Magnolia City”: Houston, Texas.The overall goal of Raw Artists is to give flourishing artisans, artists (both performing and visual), musicians and film-makers a chance to network, showcase, and gain publicity. To be eligible, the artists must be in the first 10 years of their careers. On Thursday night, a group of photographers, painters, jewelry-makers, make-up artists and fashion designers convened at Westpark’s StereoLive on 6400 Richmond. By 8pm, the multi-level warehouse venue was transformed into a vibrant art bazaar teeming with excited attendees and fantastical artwork. Houston Raw Artists included Jared Pierson, a genial Houston photographer with beautifully vibrant portraiture.Melissa Eugene is a young artist who draws inspiration for her paintings from song lyrics, poetry or dreams. And the owner of Rowan’s Originals, Kimberly Terrell, designs haute Goth accessories such as feathered boas made of dyed rooster feathers and spiked leather arm gauntlets. When asked what her inspiration was behind her spiked couture, she replied “As a kid, I wasn’t allowed to wear spikey things around the house“. Upstairs and downstairs featured wall-to-wall art, photography and accessories; but downstairs also featured a prominent main stage: Performing artist Vonetta Berry from ABC Body Art— who uses the human body as a canvas– transformed two models into breathing artwork live on center stage. Jutting out from the stage was a fashion runway. At 10pm, models took to the runway sporting vintage high-waist shorts designed by Eternal Vogue’s 19 year old fashionista Melissa Guadamuz for an electrifying fashion show. And John Amar, a Houston musician, also took center stage for a while and regaled the crowd with piano songs from his new album. 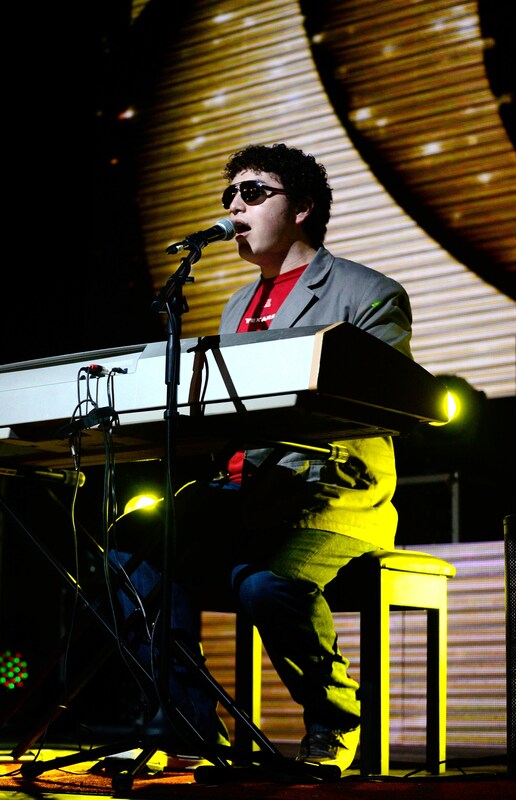 Mr Amar says he draws inspiration from the likes of Elton John, Dustin Sheik and Justin Timberlake. The combination of affordable drinks, a dynamic “Montrose vibe” atmosphere and multifaceted artworks from a diverse cabal of talented individuals overall made the Raw Houston: Elevation Showcase a veritable success. Great job, guys!